The Spon Awards are a set of accolades bestowed at the end of the year to acknowledge the best in media, software, and typography that year. 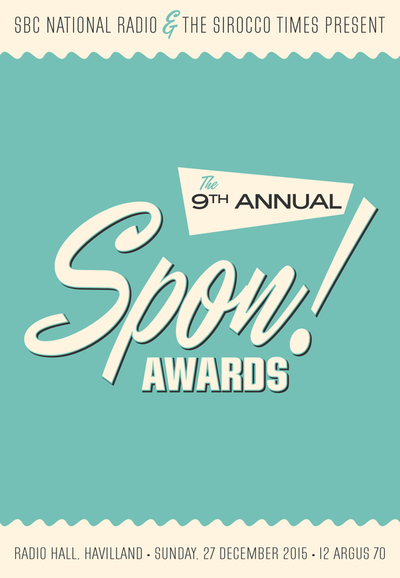 What makes the Spons unique is that nominees are not restricted to that year - awards have been given to content dating back as far as the 1950s. The Awards initially began in 2007 as an award for the most played song of the year, Power Grid from the SimCity 3000 soundtrack. The decision was made to increase the number of categories and to make it a general awards ceremony in 2008, and it has followed this ever since. Note that the orange award is the Spon Award winner for that year. Film, Font, Game, Micronation, Program, Show, Song, Spon Award for Excellentness, and Website. The Spon Award for Excellentness is the supreme award, and is given to one of the category winners. 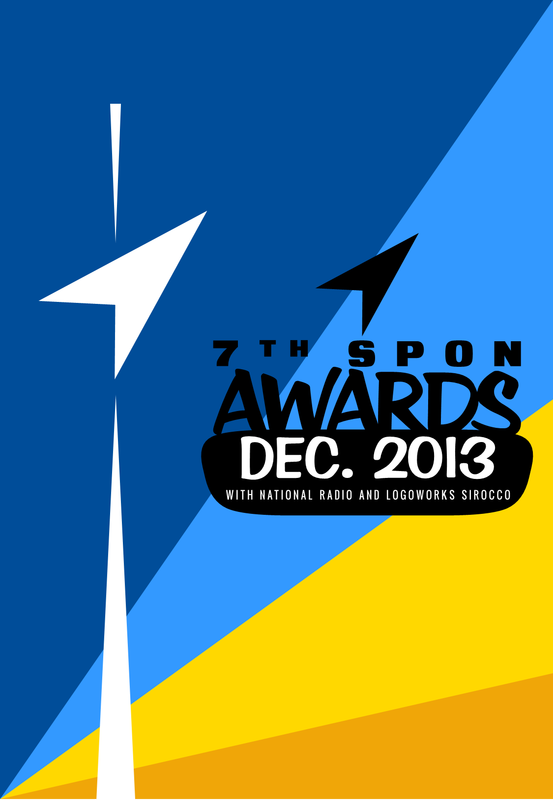 Most of the core categories (those listed above excepting Micronation) have won a Spon Award for Excellentness. 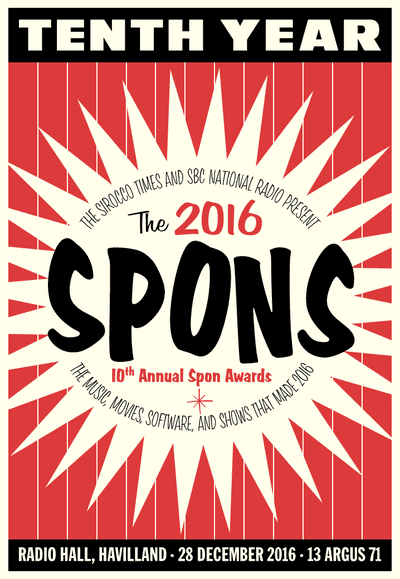 For the most part, the awarding of the Spons has gone smoothly over the years. But in 2013 the Awards courted controversy when several people criticised the granting of the Anime award to the series Free!. 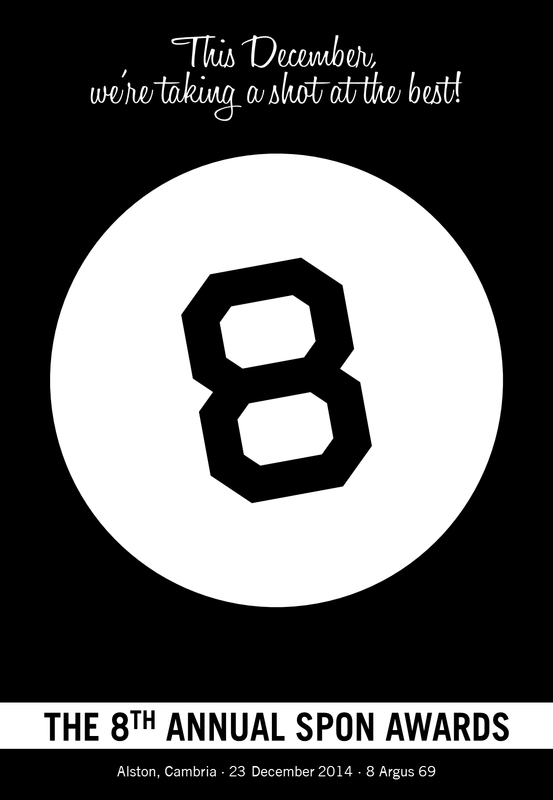 The result was that in 2014, the Awards were more closely considered - and as for the Anime award, it was dropped from the Eighth Awards out of lack of interest.